Week 37 is already here and Baby is now considered "early term". We are cleared for home birth whenever he or she is ready to arrive! 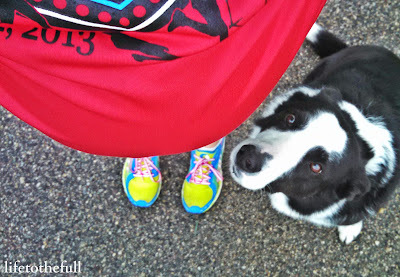 For today's Fitness Friday, I am sharing how & why I run during pregnancy. Pregnancy brings on all sorts of questions from friends to family to complete strangers on the street. Add running into the picture and the questions multiply. These are the real reasons behind HOW and WHY I continue to run (and strength train) through pregnancy. And how it's not as crazy as it sounds! Disclaimer: There is no shame in NOT running during pregnancy! Any form of pregnancy-safe exercise is beneficial as long as it is approved by your doctor or midwife and it is comfortable for you. This post is sharing my personal experience and IS NOT intended as medical advice! Consistency. 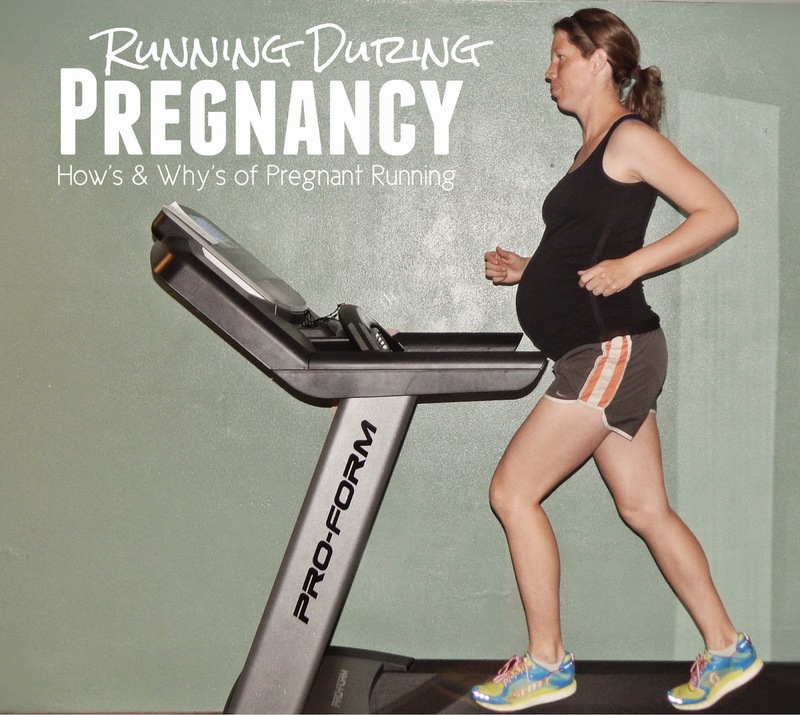 If you were a regular runner pre-pregnancy, continuing your running routine during pregnancy is safe as long as you are approved by your doctor or midwife. The key is to be consistent. Being consistent with weekly workouts has helped my body to gradually adapt to pregnancy changes and support my growing belly. Support Belt. The <affiliate link> Gabrialla Elastic Maternity Support Belt is a life-saver when it comes to running during pregnancy. It provides great belly and back support while I run. I haven't ran without wearing mine since mid-second trimester! I have used the same support belt running through both pregnancies and it's worth the investment. Low and Slow. Low mileage, low intensity, slower pace. What the numbers end up being all depends on you personally and your pregnancy. My runs are 2 to 3 miles, four times per week. My average pace is now between 10:30 to 11:30 per mile and I take walk breaks as needed. Despite moving at a slower pace, maintaining a running cadence around 180 strides per minute does make running more comfortable! Hydrate Well. Being an active pregnant woman means you need to drink more water than sedentary pregnant women. Livestrong recommends that pregnant women drink an additional 8 ounces of water for every hour of light activity. Dehydration can cause preterm labor, constipation and bladder infections in late pregnancy! One Day at a Time. Take pregnancy one day at a time - one run at a time - and to listen to your body. My mindset is that each run could be the last run of this pregnancy. I have no expectations of running through a certain date. There is no shame in walking, choosing another low-impact exercise option or just taking a nap! I feel better when I do. Pregnancy does make it harder to for me to get out the door early in the morning. My motivation comes from knowing how I feel once I get moving and how great I feel post-workout. Exercising gives me extra energy and I feel like I have a little extra stamina to chase our toddler throughout the day. Running feels natural. With a big belly and 20 additional pounds on my frame, I don't look particularly graceful but my legs remember what they're doing and moving feels really good. Because my body was well-adapted to running before pregnancy, running while pregnant still feels natural to me. Eased pregnancy discomforts. Exercising has helped to ease the discomforts of pregnancy from morning sickness and insomnia to constipation and fatigue. Staying fit and keeping a strong core also helps to reduce pregnancy back pain. Endurance for labor and delivery. Labor and delivery are a huge test of endurance. In my first pregnancy, staying in shape gave me extra endurance for labor and delivery and I know it will help with baby #2, too. Labor may be longer this time - who knows what Baby has planned - and staying fit will certainly help with whatever lies ahead. What is your favorite form of exercise, pregnant or not? Thanks for sharing this! I don't have children yet, but I hope to one day and I'd really like to be able to run while pregnant. It's nice to know they make a support for pregnant women, sounds worth the investment! The support definitely is worth it! If there is a baby #3 in our future, I can still use that same band. It's staying in great shape through so much use! Love this Amy! It's so inspiring to see women stay active during pregnancy. Happy mommy and happy baby! I can't believe you've been able to run throughout your entire pregnancy, the extra weight on me killed my knees which is one of the biggest reasons I stopped when I was pregnant. Congrats for running so far!! Thank you, Liz! The biggest struggle for me at this point was bladder squishing. My joints all felt fine but after baby dropped, there was no hope for my bladder! this is great! i ran to 37 weeks with my first pregnancy, 34 weeks with my second and maybe 20ish with my third (i've been having some injuries...) when i first got pregnant i was astonished by the small amount of information out there. i remember telling everyone that, during pregnancy, i feel most myself when i was running. 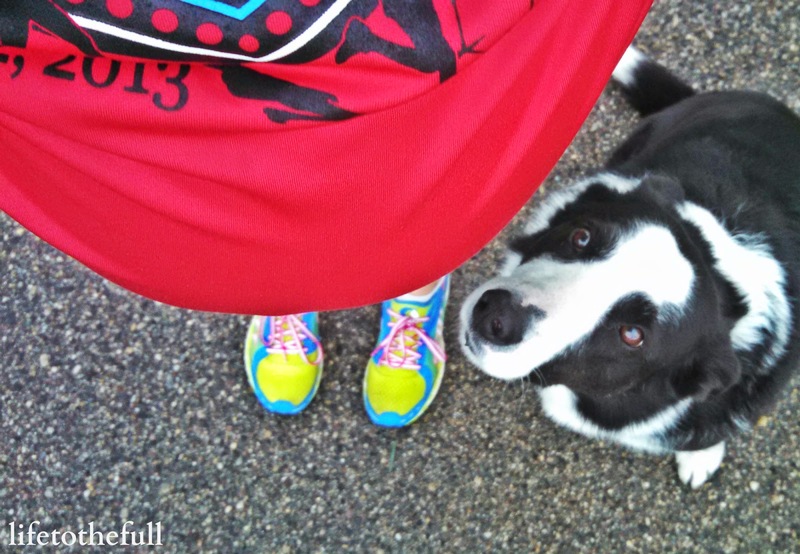 I agree - running definitely helped me keep in shape AND sane while pregnant! Pregnancy is wonderful but being able to continue exercising made me feel "normal". We are almost one week postpartum now and I hope to share baby's birth story soon - and my postpartum journey after! I am in awe of women who can continue to run and exercise during pregnancy. I was injured during my second pregnancy while walking a few miles just before I delivered. My next three pregnancies (yes, I have five boys) I was in excrutiating pain from right after conception. I couldn't walk more than a few steps a days without tears. Crazy. I am thrilled you can run and exercise, but from one mom who pushed it too far... Listen to your body:). Oh that is really tough! It would be hard not to be able to walk comfortably in general - especially when you have other kids to chase around. Now that baby is born, I'm finding it's a struggle to be recovering post-birth and trying to keep up with our toddler without overdoing it. I'm so thankful for the help we have had around home. I'm not sure how we would do it otherwise! Definitely listening to my body! I ran while pregnant, but only lasted a few months! I stayed active though as that made me feel much better. I wasn't as active with baby #2 and my body felt worse. Way to stay active!! Thanks, Emily! It really does make such a difference! Can't believe you are already full term! My favorite form of exercise is CrossFit. I did it all the way through my pregnancy with my daughter! I remember reading your second pregnancy posts! It's so encouraging to see other moms who are staying fit during pregnancy!